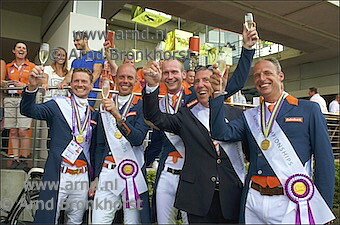 Thinking of Bronze, but winning Gold: the Dutch riders did it in Aachen, together with their horses. Four great rides by the Dutch dressage team, bronze for the Germans and silver for the British riders. We are continuously adding new images.